The Habano Festival has passed the mid-point of its XIX edition and continues its celebrations in a friendly and exclusive atmosphere with the Habano as the common theme uniting its visitors. 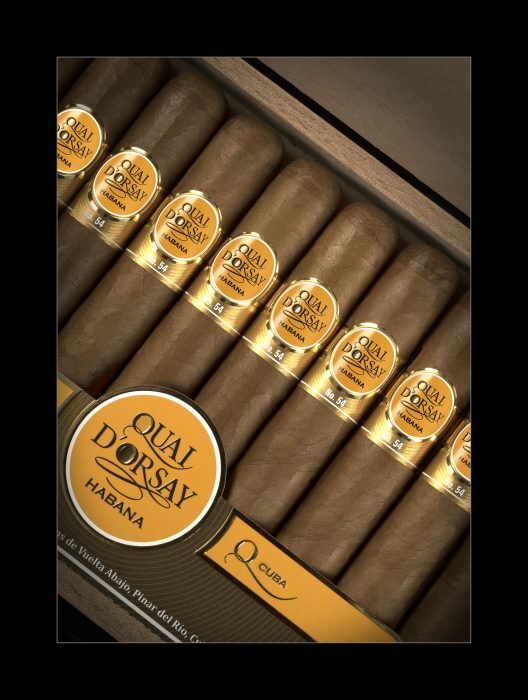 Yesterday, El Laguito’s Protocol Hall was the venue for the Tribute Evening dedicated to Quai D’Orsay, a brand created in 1973 by Cubatabaco exclusively for the French market upon request of SEITA, the then state-owned tobacco company. 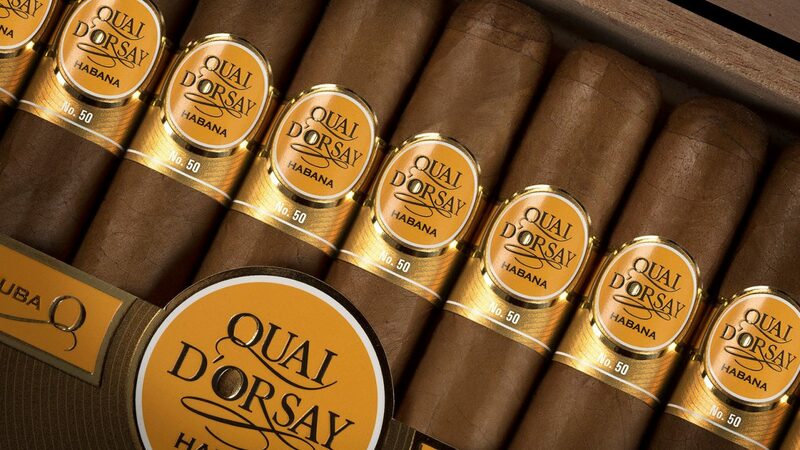 Quai D’Orsay embarks on a new and promising adventure with the release of its new design, the presentation of two new vitolas and its international distribution network to major Habanos S.A.markets. 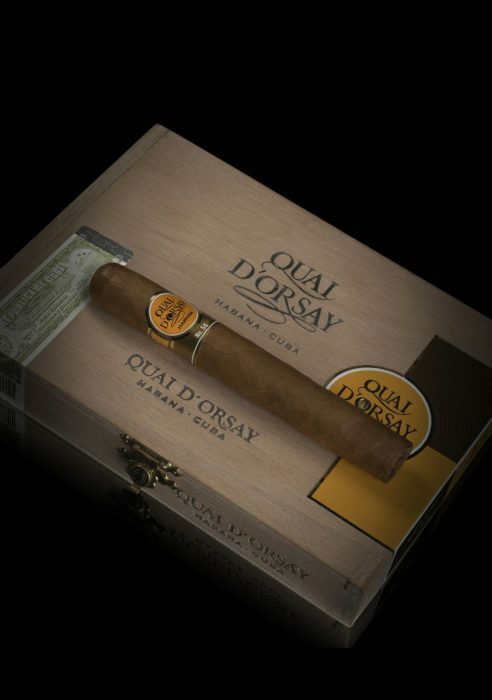 Visitors at the evening event were able to enjoy the brand’s three vitolas: Coronas Claro (42×142 mm), and the new No 50 (50x110mm) and No 54 (54×135 mm), and also to delight in a vitola from its classic portfolio, Quai D’Orsay Imperiales (47×178 mm), reedited exclusively for this ceremonial dinner. In addition, the evening featured an outstanding international Cuban musical line-up, with the presence of distinguished artists such as Luna Manzanares, Geidy Chapman, Tanmy and Brenda Navarrete. All of this with Roberto Carcassés & Interactivo providing the musical backdrop. Mayko D’Alma was in charge of the evening’s finale performance with Maestro Santiago Alfonso’s company providing all the choreographies. Visitors attending the XIX Habano Festival were also able to enjoy the traditional Alianza Habanos that this year brought together two legendary denominations steeped in history whose products are the stuff of dreams for both sommeliers and Habano lovers around the world: Habanos and the prestigious Brandy de Jerez, from Spain. Bodegas González Byass, with Lepanto Solera Gran Reserva; Bodega Sánchez Romate Hnos., with Cardenal Mendoza Carta Real; Bodegas Fundador, with Fundador Exclusivo and Bodegas Osborne with Carlos I Imperial paired their exclusive brandies with two of the most appreciated Habanos by consumers all over the world: Trinidad Vigía (54x110mm) and Partagás Serie D No 4 (50x124mm). One of the other most important and keenly followed activities at this Festival is the XVI Edition of the International Habanosommelier Contest. The finalists competing this year for this prestigious award are the following: Andrea Balzani (Italy), Slavomir Marek Bielicki (UK) and Felipe Rojas (Chile). In the preliminary phase, last February 27th, participants were asked to show their creative skills and knowledge of Habanos and faced a series of practical tests, with the presentation of a pairing of their own creation that was different and innovative as well as a blind tasting of Habanos and another of spirits. In the grand finale, to be held tomorrow, Friday March 3rd, participants will face a practical Habano cutting and lighting test and a descriptive tasting and pairing session with different spirits, including the most well-known international cocktails, following in the footsteps of last year’s special edition. 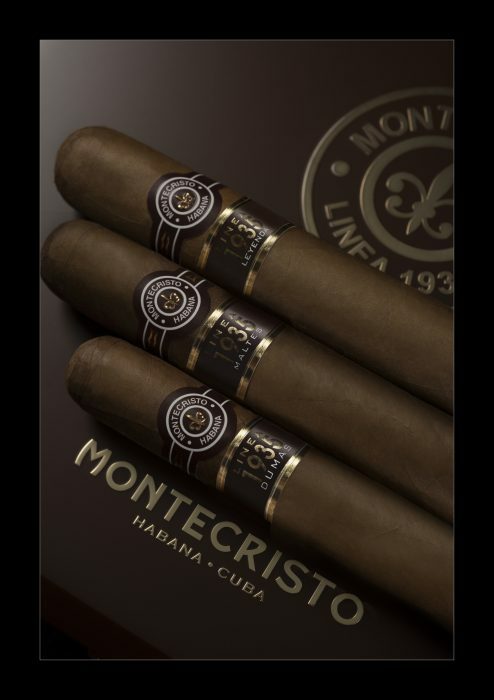 The Festival will finalise its festivities tomorrow, Friday March 3rd, with the Gala Eveningdedicated to the exclusive Línea 1935 from the Montecristo brand. 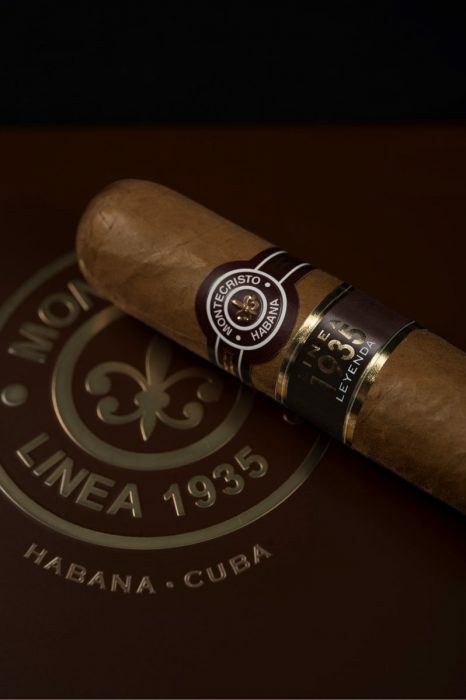 The evening will also include the celebration of the Habanos Awards ceremony and the traditional Humidor Auction, the proceeds of which will be donated entirely to the Cuban Public Health System.